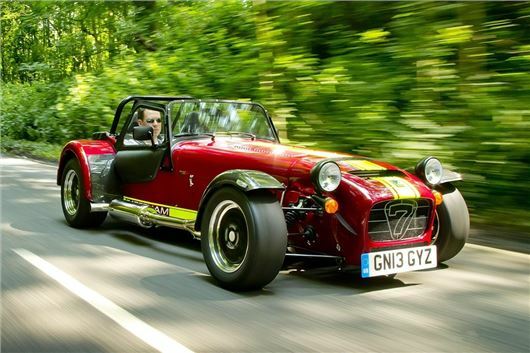 Caterham will be running its 620R up the hill every day at the 2016 Goodwood Festival of speed, driven by former British GT champion Jon Barnes. Those who want to get closer to a Caterham can see the 420R on the Niche Vehicle Networks stand. The 420R has an ultralight frame developed in conjunction with Reynolds, a bike frame company, along with Simpact, a computer-aided engineering consultancy. The display car is full road-registered, emphasising the practical usability of the lightweight chassis.